Go on a Family Adventure Under the Sea with The Little Mermaid Jr.
Ariel, Flounder, and Sebastian are returning in an all-new live adventure at Babson College’s Sorenson Center for the Arts. The Wellesley Theatre Project presents The Little Mermaid, Jr., an exciting family-friendly musical adventure adapted from the Disney motion picture and Broadway version of the much-beloved The Little Mermaid. 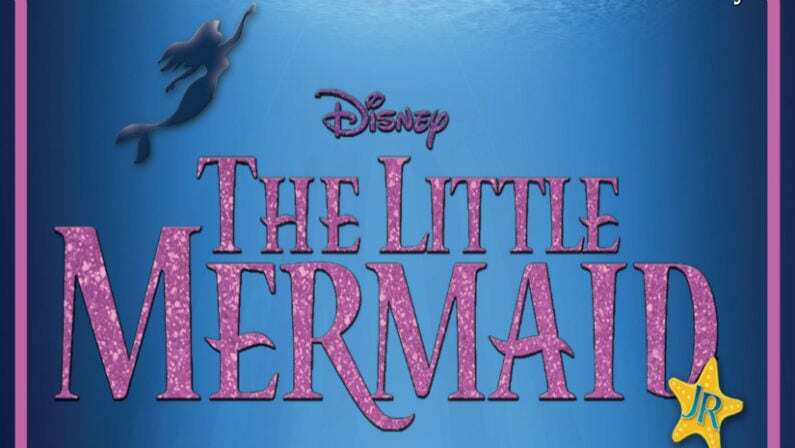 If you or someone you know loves to sing “Under the Sea” or “Part of Your World,” you can dive into this show for just $9 thanks to an exclusive half-off offer Goldstar has for Boston on Budget readers. The Little Mermaid, Jr. retells the classic tale of Ariel as she longs to leave her ocean home and find adventure above the waters. Her father King Triton, however, believes Ariel is simply being foolish and should stay where she is. Defying her father, Ariel falls in love with the handsome human Prince Eric and makes a deal with the evil sea witch Ursula to leave the ocean and find a new life on dry land. Of course, Ariel soon realizes she should have been careful about what she wished for. Tickets to this show are $18 for adults at the door, but you can currently get half-off tickets through Goldstar.com. Just sign up for a free membership with your email address or Facebook account and start taking of exclusive offers like this one just for Boston on Budget readers. The Little Mermaid, Jr. will be performed at The Sorenson Center at Babson College, located at 19 Babson College Drive Wellesley, MA 02482. For more information visit WellesleyTheatreProject.org. One of the most unique acts of our time is coming to Boston’s Charles Playhouse. Blue Man Group are bringing their mind-bending performance to Boston to wow audiences with their unique blend of pounding percussion, psychedelic visuals, high-tech wizardry, and sly social commentary. 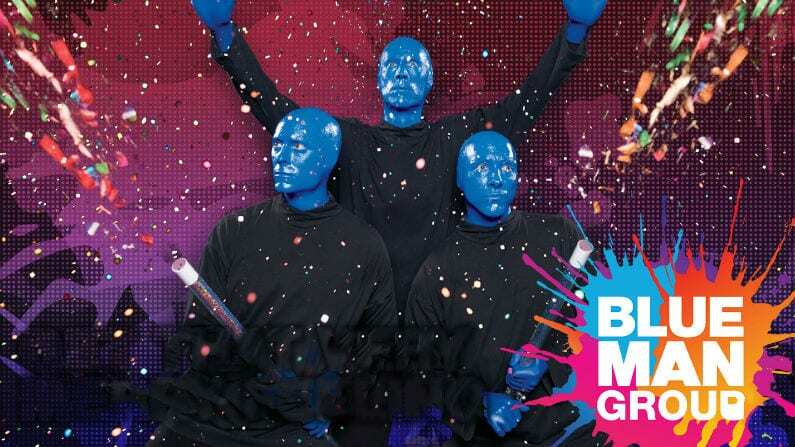 Whether you’re a lifelong fan or are curious about what a Blue Man Group show is like, we’ve got a deal you can’t afford to miss: half-off tickets. Get them before they’re gone! Blue Man Group first appeared in 1987 when friends Chris Wink, Matt Goldman, and Phil Stanton began staging what they called “creative disturbances” on the streets of Manhattan’s Lower East Side. Those performances drew enough attention to land the group performances at the Astor Place Theatre in 1991, and the rest is history. Today, Blue Man Group tour worldwide, have released Grammy-nominated certified gold albums, and have been purchased by legendary surreal circus group Cirque du Soleil. Blue Man Group performances center around the trio’s driving, drum-driven music which incorporate otherworldly instruments the group has created themselves. Aside from the music, their performances feature a cerebral mix of visual art and comedy sketches which draw upon themes of cutting-edge science and technology, information overload, societal pressures and cultural norms, and the state of being an outsider – all done without the group speaking a single word. If you want to catch this legendary group live in Boston, now’s your chance. Blue Man Group will be at the Charles Playhouse throughout the month of April performing a 90-minute show recommended for ages 7 and up. Be aware that the show may not be appropriate for everyone as it features loud music, strobe lights, and lots of sensory stimulation; in fact, sensory overload is one of the core themes of the show. Boston on Budget readers can get tickets to this one-of-a-kind show for just $36.50 – a discount of 50% off. These are sure to sell out, so act quickly and get your tickets today. Visit CharlesPlayhouse.com or BlueMan.com for more information. No other tale has captured the American imagination generation after generation as Mark Twain’s classic The Adventures of Tom Sawyer. The 1876 novel about a young boy growing up on the Mississippi River never stops resounding with audiences of all ages, and that’s why Boston’s Needham Community Theatre is performing this timeless tale live on stage at the Needham Community Theatre. If you or someone you know is a fan of Twain’s classic tale, we’ve got a great deal for you: Boston on Budget readers can get half-off tickets to this charming performance while they last. Hurry, though – these are sure to float away faster than a raft on the Mississippi River. The Adventures of Tom Sawyer has been in print for nearly 150 years. The story is considered a masterpiece of American literature and perfectly captures both the childhood sense of wonder and play exemplified by Tom and the social criticism that made Mark Twain a household name. The story has been adapted into numerous television specials and films over the years, and has now been adapted to the stage by Boston’s own Needham Community Theatre. 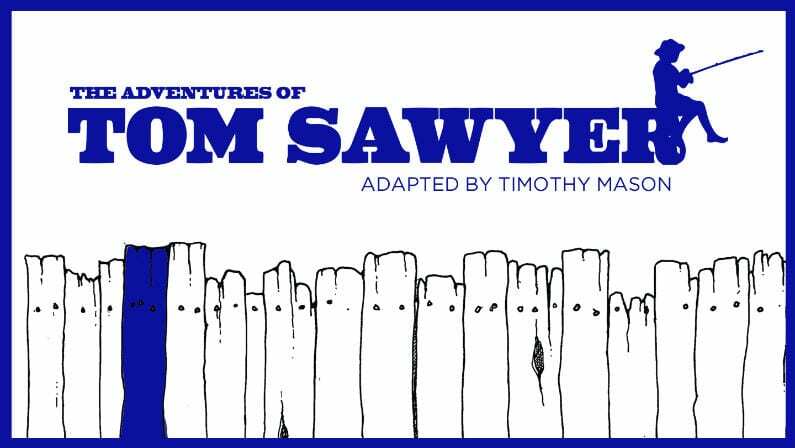 This live adaptation of The Adventures of Tom Sawyer features all of the adventures and characters that made the novel such a timeless classic including Tom’s best friend and partner in crime Huckleberry Finn. The show will be performed on Saturday, May 4 at 2:00 pm; Sunday, May 5 at 2:00 pm; Friday, May 10 at 8:00 pm; and Saturday, May 11 at 2:00 pm. Tickets to The Adventures of Tom Sawyer start at $24, but Goldstar.com has an exclusive half-off discount for Boston on Budget readers. All it takes is a free Goldstar.com membership which you can sign up for using your Facebook account or email address. Once you sign up, you can take advantage of exclusive offers like this one and many more. The Carleton Auditorium at Newman School is located at 1155 Central Ave, Needham, MA 02492. For more information visit NeedhamTheatre.org. One of the most beloved children’s books of all time is coming to Boston in the form of a brand-new musical adventure. 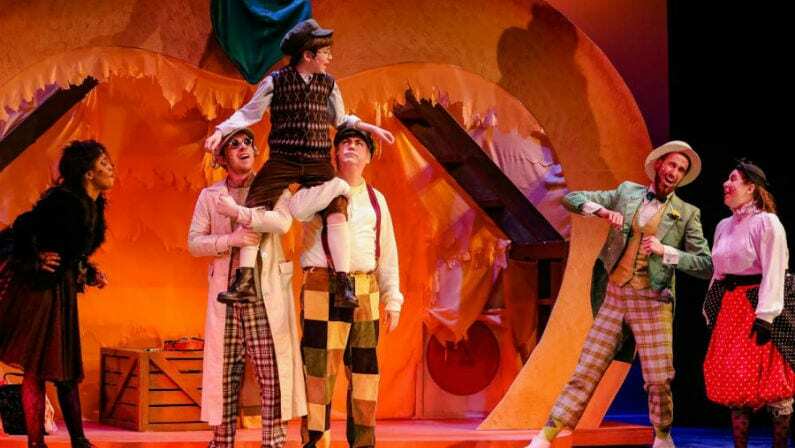 Roald Dahl’s timeless classic James and the Giant Peach has been adapted into a musical that includes all of the adventures and misadventures that made the original so memorable. If you’d like to relive the magic of this iconic tale, we’ve got a special deal for Boston on Budget readers: while supplies last, you can get half-off tickets to this whimsical, magical performance. James and the Giant Peach was first published in 1961 and was an immediate hit. The book tells the tale of a downtrodden orphan named James Henry Trotter who is sent to live with his wicked aunts after his parents are eaten by an escaped rhinoceros. James buys a bag of magic beans from a mysterious old man and accidentally spills them under the old peach tree in his yard. The next morning, a giant house-sized peach appears on the tree, and the next thing James knows, he’s on an adventure with seven larger-than-life insect companions. James and the Giant Peach has been adapted into television specials and a 1996 stop-motion animation film produced by Tim Burton. In 2010, the story was adapted into a musical with music and lyrics by Benj Pasek and Justin Paul and a book by Timothy Allen McDonald. The musical has been performed at the Kennedy Center in New York, the Seattle Children’s Theatre, and the Young People’s Theatre of Toronto. Now, James and the Giant Peach is coming to Boston’s own Wheelock Family Theatre. The show will be performed on Friday evenings, and Saturday and Sunday matinee shows, and the performance runs about 2 hours and 15 minutes and includes one 15-minute intermission. Check here for a full listing of times and dates and visit the Wheelock Family Theatre’s event page for more information. All ages are welcome, but the show is recommended for ages 6 and up. Tickets to this show usually start at $20, but you can get them for just $10 using a free Goldstar.com membership which you can get using any email address or Facebook account. Don’t miss this chance to see a one-of-a-kind adaptation of one of the most beloved children’s stories of all time. See Catboy, Owlette and Gekko Save the Day in PJ Masks Live! One of the world’s most popular crime fighting trios is coming to Boston like you’ve never seen them before. This month, Catboy, Owletter, and Gekko will be live on stage at Boston’s own Boch Center in PJ Masks Live!. If someone you know loves these adorable masked superheroes, we’ve got a great deal for you. Boston on Budget readers can score tickets at a discount of nearly half-off. Get them before they’re gone! PJ Masks Live! welcomes all of the familiar faces, masked or unmasked, from the popular children’s television franchise. PJ Masks is based on a series of French children’s books but is best known for the animated series which originally aired on Disney Junior. 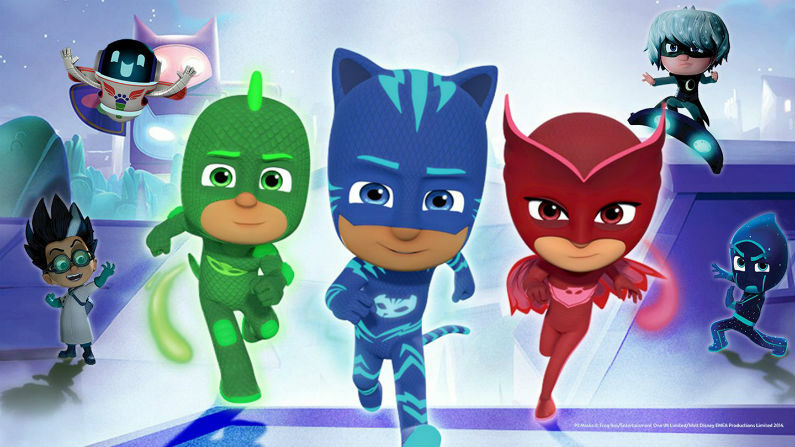 The series follows three six-year-olds who are normal first graders by day but by night don masks to become the superhero trio PJ Masks under the alter egos Catboy, Owlette, and Gekko. Catboy, Owlette, and Gekko are now hitting the stage in a new adventure that will see them jumping, flipping, climbing, and singing live on stage at Boston’s Boch Center. This live show will welcome a new pal, PJ Robot, and will see the trio come toe-to-toe with the usual villains Romeo, Night Ninja, and Luna Girl. Fans of the television series will be delighted to hear all of the series’ familiar songs as well as some new numbers crafted specifically for this live adventure. Tickets to this one-of-a-kind PJ Masks adventure start at around $55, but BOB readers can get them for as low as $30 through Goldstar.com while they last. Don’t let this deal slip away! Sign up for a free Goldstar membership using any email address or Facebook account and start taking advantage of exclusive deals like this one. PJ Masks Live! will be performed at the Wang Theatre at Boston’s Boch Center on Friday, April 26, Saturday, April 27, and Sunday, April 28. A full list of dates and times can be found here. For more information visit the Boch Center’s website. If you are getting anxious for summer fun, you may want to head for an indoor water park to tide you over until then. However, an indoor water park is not cheap. It can be $40+ per person just for a day pass of swimming so for a family it can add up way too quickly. At that point, it just makes more sense buy a hotel room for the night and get free access to the water park, but every water park is different. 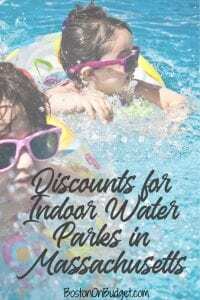 Some water parks (like the Red Jacket Mountain View in North Conway, for example) still charge for the water park (at a discount rate) even if you are staying overnight, so make sure to do a little research to find what works best for your situation. CoCo Key Water Park, Danvers: Regular Full-Day Pass starting at $45. Full-Day Pass through LivingSocial for $39.99, Twilight Pass for $29.99. Day passes should be purchased in advance to guaranteed admission. Cape Codder, Hyannis: Single Day Pass starting at $40. Single Day admission through Living Social, not valid on Saturdays and select dates: $29 for one, $55 for two people, $109 for four people. Water Park admission included if you stay at the hotel and book directly through Cape Codder, not a third-party site. Great Wolf Lodge, Fitchburg: Day Passes for Great Wolf Lodge not available, must purchase overnight stay. Discounts for overnight stays are sometimes on Groupon, but promotions directly through Great Wolf Lodge are often comparable or sometimes better than Groupon. I haven’t been to an indoor water park yet with my kids yet but looking to do so soon, so if anyone has any tips for me or deals that I may have missed, please let me know in the comments below!